On Task Skill Coaching TM is an experiential learning, training delivery system, developed by Niki Tudge and made available with support to all DogSmiths. 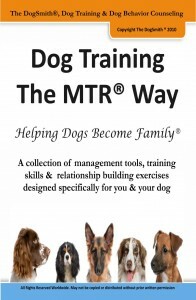 It is featured in both of Niki’s books People Training Skills for Pet Professionals and Get Coaching Now. 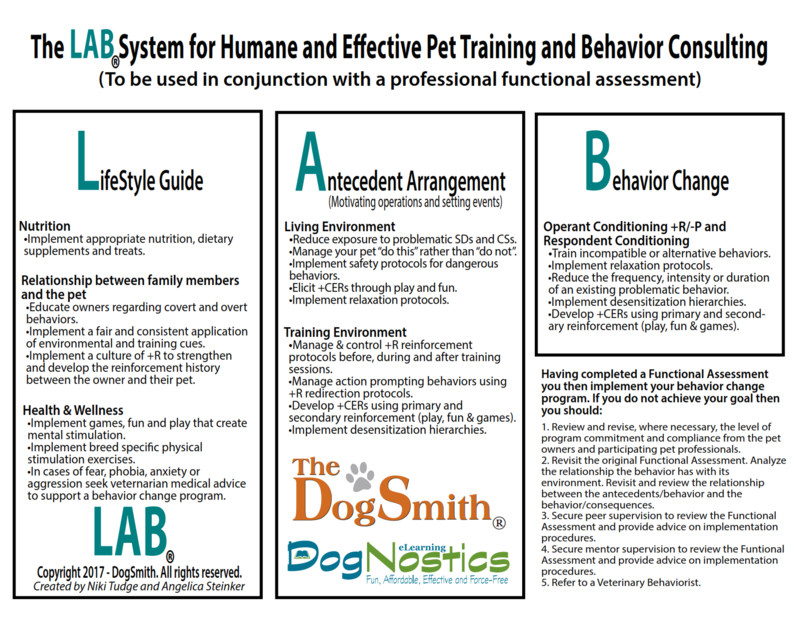 The system is available through the DogSmiths sister company and educational provider DogNostics eLearning in the People Training Skills Modules. At the DogSmith we believe a dog’s behavior results from three critical and key components. The Daily Management of your pet and their home environment. Positive Reinforcement Training so your pet can coexist peacefully with you and your family at home. A fabulous trusting Relationship that you and your pet share and mutually enjoy. This is our proprietary MTR system. All of our on-line apps and training assessment forms are developed around this system. We explain to our clients that it is pointless to invest money in pet dog training classes with a pet dog if the dog is then left unsupervised to pick up bad habits from its environment (such as getting into the kitchen trash). Alternatively, it is not possible to train and manage a dog’s environment correctly if the relationship between dog and owner is lacking trust and mutual respect. 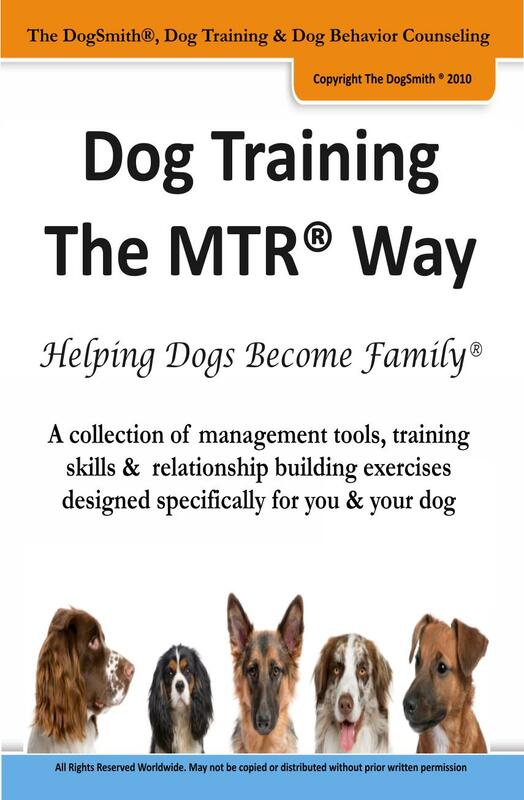 You can download your Free MTR Cards here and see how much fun dog training can be. Our MTR system is supported by ARRF which is applicable for humans and pets! Active involvement in the learning process is critical. When a trainee is actively participating rather than passively observing, greater learning takes place. Newly acquired skills need to be repeated frequently in a variety of contexts to ensure they are robust. This means the skills learned will be effective in all aspects of the work environment. Frequent repetition in various scenarios ensures the skill is truly owned: the employee cannot only generalize the behavior in new situations, but can also discriminate when it is appropriate to use the behavior. When used together with a training plan it helps clearly define and communicate expected behaviors and strengthens the connection between high performance and rewards. With correct use and timing it reinforces a learners’ behavior immediately. This helps when learning a new technique or behavior and it promotes quick, thorough learning. Not only does it reinforce behavior but it also motivates learners to continue doing good work. A lack of feedback or reinforcement can lead to dissatisfaction. Reinforced learners feel more confident and become eager to learn. Clearly defined and attainable objectives make it clear to both trainer and client what is to be taught and learned. With clear objectives, the student and instructor can easily recognize when a skill has been mastered. During the process, we train – test – train to ensure our objectives are met. ARRF© evolved from an understanding of respondent and operant conditioning, and how we can utilize this scientific approach to train and manage employees in the workplace. Once in place, the components of management, training and relationship are then used to build solid relationships and make sure the latter are consistently performing at a higher level.